Description - As ripples roll on a pond, so do the ripples on Shaw’s Ripple Effect carpet tile. These carpet tiles feature a random ripple pattern that is accented by different hues of the same color to create the tiles overall color pallet. This tile collection features 12 earthy colors and can be installed as flooring for an entire room or as custom area rug. These modular carpet tiles are much easier to install than broadloom carpeting and can be installed with double-sided tape or a pressure sensitive adhesive. These carpet tile squares can be installed in both residential and commercial environments and are just as easy to clean and maintain as broadloom carpet. These tiles are also very environmentally friendly, being constructed with recycled materials in both the backing and the nylon fibers, making them perfect for anyone looking to go ‘Green’. 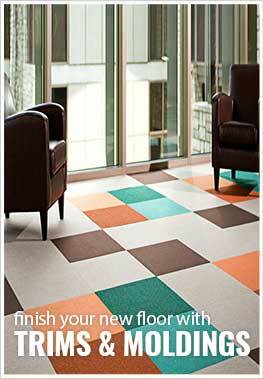 Shaw Ripple Effect tiles are backed by a lifetime warranty, and are the perfect alternative to broadloom carpeting. Recommended Uses - Shaw Ripple Effect carpet tiles have been used in both commercial and residential applications because of their durability, versatility and ease of installation. Because of these facts, carpet tiles are quickly replacing broadloom carpet and have been installed in nurseries, basements, kitchens, bedrooms, weight rooms, home gyms, garages, workout rooms, and elderly care rooms and many other areas.